Since my youth, I have had an ever-increasing interest in the Natural History of the Earth, Archaeology, Geology and Paleontology. For the last 30 years, I studied astronomy and astrology, focusing on ancient astronomy and chronology. During the last 21 years, I specialized in Egyptology and do research in that field. Kosmische Slinger der Tijden, 1993; ISBN 90.74358.04.7. Ancient Egyptian Records and Astronomy, 1995/1996; ISBN 90.74558.07.0. Summary of 222 ancient Egyptian calendar-dates. Sterrenbeeld van Horus, 2000; ISBN 90.4390.117.2. Onbekende Aspecten van Nostradamus, 2002; ISBN 90-806700-3-0. Egypt: “Image of Heaven”, 2006; ISBN 1.931882.54.1. Het Horus Enigma, 2009; ISBN 978.90.5730.633.4. Van Egypte naar Atlantis, 2013; ISBN 97.89057309090. After a stay of a little over 78,000 days on the other side, I was born on September 1st, 1941 at 3:25 a.m. local time in Leiden, Holland (1:25 GMT). A wonderful town, boasting as many as 13 museums, where the smell and atmosphere of metaphysics still lingers in the streets. It is the birthplace of great painters like Rembrandt van Rijn, Jan van Goyen, Jan Steen (Warmond), Lucas van Leyden, Frans Mieris, and Gerard Dou. It is a town with a grand history that can be seen everywhere you look. The historical inner city is not just beautiful; it also breathes a pleasant atmosphere with its numerous streets and alleyways and its many interesting sights. There are many churches there, dating back to glorious eras like the Gothic period and the Renaissance, there is the Hooglandsche Kerk, the Pieterskerk (St. Peter’s Church), the octagonal Mariakerk (Church of the Virgin Mary), the Lodewijkskerk (St. Louis’s Church), and not to forget the old Burcht (a fortress) dating as far back as the 9th century, standing at the point where the river Rhine separates into two branches. Lady Justice can be found there as well, in the court house behind the Pieterskerk. Its monumental town hall, which still has its original Renaissance facade, is located on the Breestraat, opposite the residence of the famous philologist Justus Scaliger in the 16th and 17th centuries, and opposite the Korenbeurs at the back. Scaliger was professor of Latin, Ancient History and the History of the University. The oldest university of the Netherlands is located at the Rapenburg, where we also find the Rijksmuseum voor Oudheden (Museum of Antiquities). The town is still enclosed by the waters of the Singel, with the Hortus Botanicus (Botanical Gardens) located behind the university. On its banks, we find the famous observatory, on the corner of the Kaiserstraat, named after its founder Frederik Kaiser. If we walk down the Rapenburg in the direction of St. Louis’s Church, we come past the Chemisch Laboratorium (Chemistry Laboratory), where some of the world’s most renowned scholars such as Kamerlingh Onnes and Albert Einstein worked. Einstein frequently stayed with Paul Ehrenfest at 57 Witte Rozenstraat, at the corner of the Jan van Goyenkade. Scientists from all over the world come to the city to experience the place that housed so many early influential thinkers. Leiden is the cradle of scientists. Its street names testify to this and its famous painters more than once eternalized scientific scenes. If you are born in a town like this, you almost naturally develop a great love of history and science. But that is just the first step; it is not just plain sailing after that. The circumstances under which you are born, the conditions of life, the family you are born into, the presence or absence of an innate talent for study, economic or social conditions in a certain part of your early life, all constitute as many possible obstacles to successful development. Sometimes a serious illness at a crucial moment in your life can spoil things for a long time to come. This happened to me when I was 14. There were other things too, I will not deny, that were not conducive to my life taking the course I had in mind. My father hardly took an interest in me, there were financial difficulties right after the war with large-scale post-war reconstruction going on, and no government study grants yet to help you along. In short, my options were limited. Sometimes a hobby like stamp collecting can open up ways for you. It was through this hobby that I met a man who was to become a kind of ‘second’ father to me. He was my guide from the time I was fourteen. Before that, I had learned a lot about Leiden from my grandfather. My grandfather would often take me to museums, such as the Lakenhal, the Museum of Antiquities and the Rijksmuseum voor Volkenkunde (Museum of Anthropology), as a result of which my general knowledge grew naturally. The close and warm bond I felt with my mother and her father fostered an awareness in me that my life might be of some significance. My self-confidence increased and, by the Grace of God as my folks would say, my father allowed me to go to secondary school, provided that after that I would find a job and start earning some money. My ‘second’ father suggested to me that I should take evening classes in Engineering, and he arranged a job for me at the I.B.B. (Ingenieursbureau voor Bouwnijverheid) an engineering company. I took the classes, and I took the job. My training was seriously interrupted by compulsory National Service. I eventually managed to do my National Service in Utrecht at the internal outpatients’ clinic of the ‘Oog in Al’ Military Hospital. It allowed me to more or less continue my Engineering studies in Leiden. After my National Service, I resumed the full program of my studies and took a job as a draftsman at an architectural office. After a few years, I broadened my studies by taking on a job as a calculator at a building company, and I was very successful at that. I turned out to have a special talent for specifying, collecting and subsequently calculating all the costs involved in building components. It turned out I had an innate talent for theoretically breaking down a design or a building into its component parts, correctly appraising what is involved in a framework or in frame building structures. Designing building plans together with architects became my daily routine. It also caused me to bring more art into my life, as a result of which I developed an interest in the activities involved in infrastructure and project development. I took a further step in that direction in my development, and from the age of 35 started working as a project manager in project development. Early on, from the age of eight, I had begun to take an interest in Ancient Egypt, not very surprisingly perhaps, with the Museum of Antiquities located just around the corner. Books on Ancient Egypt that I read in my childhood and other books later on further stimulated my curiosity. From the age of eighteen, I lost interest in ‘ordinary’ books, and began to look for books more substantial on content. I became fascinated with spiritual life. A little later I joined the Westerheem Archeological Society and the Geological Society Grond, Boor en Hamer (‘Soil, Drill and Hammer’). I found the latter more interesting, and began to search for and collect fossils, not just in the Netherlands but also elsewhere in Europe. I found my first fossil at Velp on the Keienberg. Eventually my interest began to center more and more on prehistoric man, on earth, its origin and development. Alongside that I also took an interest in man’s mental and spiritual development, in people’s ups-and-downs, which led me to the study of astrology and psychology. Initially, I could not get a grip on astrology, until I got an assistant at work who was doing a course on astrology with a renowned astrologer. Back in those days, there were no regular stores yet that openly sold books on subjects like astrology. But my assistant knew his way around in Amsterdam, and he would often take me to ‘closed’ stores that did sell them. An entirely new world opened itself up to me, a major boost to my curiosity. Because I was also in charge of Purchasing at the renowned firm J.P. van Eesteren I was working at, I came into contact with a great many people, some of whom also took an interest in the field of astrology. One day I read an advertisement for an astrological meeting and decided to go there to find out firsthand about the discipline and to meet people engaged in it. My curiosity was rewarded. During the coffee break an unknown man came up to me and asked me if he could tell me about my life. He believed he ‘recognized’ me from a conversation he had once had with a fellow-astrologer. This man was a complete stranger to me and I did not understand how he could have had a conversation about me with a colleague of his. So I told him: ‘please do, by all means …’ He told me what had happened to me up to that point, and he was largely correct. This was a bizarre experience, and one that would stick in my mind. I asked for his address, which he gave me. He lived in Alkmaar. A few months later I contacted him, and later on he became my coach. In 1981 during the economic crisis I lost my job as a project manager. One day the entire department got fired. I was in a fix now. I did not manage to get back into building construction; the slump continued for many years. I was forced to look for other means of subsistence, mainly also because my house had lost half its value. Meanwhile, things had not been going well in the romance department either. I had gotten divorced, and my son decided to come live with me. This further worsened my financial situation. Something had to be done. I decided to turn my hobby into a profession and became an Astro-therapist. After many years of study in that field, I took the jump. The first day was very encouraging, with as many as five clients coming in. Word of mouth did the rest, and in less than no time I had a flourishing practice with a waiting list, proving I had taken the right decision. Over the years, I kept on reserving time to spend on my other hobby, my great love for Ancient Egypt. Through reading all kinds of books on the subject, I found out to my surprise that certain things in Egyptology were not sufficiently known or understood, or not known or understood at all. Thus, I read one day that the Egyptians had multiple calendars, but that no one quite knew yet what the reason behind this was. This not only intrigued me; I was determined to find out exactly why this was. Because after all, if nothing else, calculation was my field of expertise. I decided to increase my knowledge of this field through self-study to eventually try to arrive at a reconstruction of the calendar(s). For some years I thought I had succeeded in that. My son, interested in antiquity from his early youth, also got involved in my research and got so enthusiastic about it that he decided to study Egyptology at the university. Through self-study, and after much deliberation, I arrived at the conclusion that the Ancient Egyptians had but one hobby, and that was Astronomy. However, there is not a trace of this to be found in present-day Egyptology. I assumed that every stela and/or papyrus with an event specified on it together with a calendar date would have to refer to an astronomical phenomenon. This assumption proved to be correct. This meant that they ‘registered’ and documented everything. It caused me to look at their culture in a completely different way. Because of the profound implications of this ‘discovery’, I decided to pursue the matter further. My daily activities in my astrological practice did not allow me to devote all my time to it. My son moved out and found a place of his own, and started studying Egyptology at Leiden University, which he rounded off with a PhD in Egyptology. Life has a way of changing miraculously. After ten years (1993), I could no longer stand the pressure of my astrological practice, and I was experiencing health problems, something I never had expected. It was then that I met my new partner Hendrine. She asked me about my life and I told her what I was working on. She pointed out to me that I had made a reconstruction of the Egyptian calendar, but had never checked if my theory was actually correct. This immediately urged me to check about a dozen ancient records for correctness. They turned out to be right. What now? Together with her I began a search at various universities to find data that would support my claims. The collection of data we gathered consists of some 250 chronological dates, and the results of the investigation of the astronomical data proved to be significant. The interest shown by scholars in the field that I wrote to about my discoveries (at the universities of Leiden, Berlin, and Budapest) was negligible. I was naïve enough to assume that chronology constitutes the backbone of a culture. My research on the infrastructure of the pyramid field, the locations of the pyramids, and their relation to the night sky met with a similar fate. My mother once told me that she had seen Jesus at my birth. My father had jumped on his bike and ridden to his parents, where he arrived in shock. I was a boy, and he had counted on a girl. At the age of 7 or 8, I passed by the cemetery at the Zijlpoort in Leiden on my scooter and suddenly ‘knew’ that I was going to do something important in my life. As a child I was an avid reader and I would often draw maps of countries. At the age of 14, I came down with a serious disease and was often delirious. As a result my memory suffered, and learning, which so far at secondary school had been a piece of cake, took a lot more effort than before. When I got well again, I started growing rapidly. When I was 17, I began to take an interest in metaphysical matters. I was studying architecture at the Mathesis Scientiarum Genitrix (M.S.G.). Around the age of 28, Karel Buhrs joined our firm and became a colleague of mine. He was studying astrology with the famous Mellie Uildert. He became my assistant in the Calculation and Purchasing Department of the J.P. van Eesteren Building Company. Karel initiated me and showed me the way in the maze of metaphysics and ‘closed’ stores in Amsterdam. I bought several books on astrology and we would have frequent conversations on the subject. One day the so-called Rule of Hermes (Hermes Tresmegistus – Thrice-Great Hermes) came up in our talks, a rule that has been passed down in incomplete form. I conferred with him on this and decided that one day I would try to work it out and rediscover its original formulation, so that it could once again be applied. At a certain point, Karel took a job at another firm and we each went our separate ways. Just now, some 45 years later, he has contacted me through my website, and once again asked me the question to what extent the Rule of Hermes (Laws of Prenatal Epoch) had influenced my interest in Ancient Egypt. In the years that followed, I became more and more interested in and acquired knowledge about the history of mankind and the long development of earth. In the spring of 1979, I decided to attend a conference on astrology together with an acquaintance of mine. I did not quite know what to expect. We listened to birth charts being explained, when just before the coffee break a man sitting right in front of us turned around and invited me to have coffee with him during the break. I had never seen this man before in my life. His name was Peter Lucas, and he told me about my life and the events in it. It turned out he knew me without me ever having seen or spoken to him, and without him having interpreted my horoscope. He had lived in Brisbane (Australia) for a while; he was an astrologer and a member of the White Lodge. He later became my coach. A new turning point announced itself in the 39th year of my life. I bought an apartment on the Holbeinstraat in Amsterdam. Holbein, a Renaissance artist world-famous for his drawings and paintings, was to play an important role in my life later on. Meanwhile the crisis of the nineteen-eighties was taking its toll. I lost my job at the building company. I was not the only one; all my colleagues were laid off. I used the time I now had on my hands to intensify my studies of the fields mentioned and I contacted my coach, whom I had met at the conference in Soesterberg. These were difficult times. My son decided to spend more time at my place than at his mother’s, which also made things more difficult for me financially. I was forced to find additional sources of income, and in the spring of 1983 started my practice in Astrosophy, a ‘rediscovered’ way of practicing astrology. In the fall of 1984 I developed a method that made it possible to once again apply the Rule of Hermes. The method allows you to accurately determine practically absolute times of birth. Working with exact times of birth arrived at through the Rule of Hermes yields the incarnation birth chart, which reveals people’s inner drives, something they can be made aware of in therapy sessions. In 1987, I expanded this with the reincarnation birth chart, after I had received the formulas for his from my coach. I used my spare time to make an in-depth study of Ancient Egypt. In this, I focused my attention on their calendar in particular. In the summer of 1986, I received a nightly ‘visitation’ from an ‘unknown man’, who explained to me that I was to occupy myself with the great cycles of the world. Our history, so he told me, was incorrect! It was made very plain to me that from now on this was to be my core business. I was wide awake, standing in the middle of the living room, together with the woman I was living with at the time. The next day my coach came to visit me, and while I had not told him about my experiences of the night before, he told me the exact same thing as the ‘unknown man’ who had appeared to me! Where was I to start? The Bible? Astronomy? Nostradamus and his mysterious methods? I was facing an almost impossible challenge. Not too long before this intense emotional experience, I had been studying the measures and numbers of the Ancient Egyptians. What had triggered my curiosity was an Egyptian measuring rod the length of a ‘royal cubit’, on display in a showcase at the Leiden Museum of Antiquities. I asked the curator of the museum if he could give me the exact length of this cubit in centimeters. He told me he could not, because its precise length was uncertain. A construction engineer will not accept an answer like that, so I hurried to the Papenstraat behind the museum, where the university library was located. There I found Die Alt-Aegyptische Elle, a book by the world-famous 19th-century German Egyptologist Richard Lepsius, published in 1865. In 1986 you could still borrow books from the library, which I did at once, and I subsequently copied it. It was my first official book on Egyptology. In the first few lines it discusses the various measures, the importance of their application and their ratios relative to each other for the research on their relationship to the Great Pyramid. It was and still is assumed that the orientation and purpose of this building provides clues hinting at some kind of astronomical system. This linked up with the question I saw myself confronted with. From that time onward my full attention was concentrated on monuments like that. At the time, I had at my disposal a 256 KB computer with software that allowed me to determine the correct distance between coordinates on earth and the orientation with regard to the cardinal points. One evening when I could not sleep I decided to determine the distance between Giza and Stonehenge. The result was both fascinating and intriguing. Once again I was wondering what to do next, how I was to proceed from there. In the next few years my thoughts developed further, and I began to include in my research some other gigantic monuments, such as Teotihuacan in Mexico and Tiahuanaco in Bolivia. Connecting these points in a certain way yielded a picture of a giant figure ‘eight’ lying on its side – the well-known symbol for infinity – a diagram with inter-cardinal cosmic axes, which presented me with a riddle. A few years passed without any results worth mentioning. In 1989 I decided to publish my provisional findings in a book titled Kosmische Slinger der Tijden (KST) [‘The Cosmic Pendulum of Time’], which appeared in 1993. The book concentrated on the 5 ‘holy sites’, which I had decided after ample consideration might point to Atlantis indeed having been located in the Atlantic Ocean. After the summer of 1989, my research began to be concentrated on the orbits, the grand cycles, of the planets in our solar system. With the help of my son, I determined mathematically the length of the ‘Great Year’, the time it takes the precession of the equinoxes to complete a full cycle. I published this in KST. Other astronomical particularities, such as the discovery of the so-called cosmic digital pointer between the stars Aldebaran and Antares, the 27 great trines (triangles) of Jupiter and Saturn, were placed in relation to this. These findings were incorporated in the section on cosmo-chronology of Part I of the book. In part II, I tried to make a reconstruction of Dynastic Egypt based on the work of the Egyptian high priest Manetho, whose original writings have been lost, and are known to us only in part through references made to him by others. Between 1986 and 2000, I studied in detail the chronological work done by Nostradamus – I am not referring to his predictions here – and compared and contrasted this with the chronology of the Bible. His work was based not only on the chronology of the Bible but also on that of Ancient Egypt and its wisdom. The relationship between the Bible and the histories of ancient peoples was frequently used by Nostradamus, albeit not openly, to arrive at and flesh out his ‘Danse Macabre’ of the Time Key. As chronological markers Nostradamus used the day (III Prt 28) of the start of the New Egyptian Calendar in year 9/10 of Pharaoh Neferirkare of the fifth Dynasty on February 11th, 2776 BC (JD. 707531) and the day the Jews were expelled from Jerusalem and exiled to Babylon under King Nebuchadnezzar II, on July 27th, 586 BC (JD. 1,507594). Nostradamus’s third cycle started on February 10th, 1606 AD (JD. 2,307690), or on February 7th, 1606 AD, and ends in the future, in the year 3796 AD. His third cycle thus started precisely midway between the year the Jews were exiled, and the end of his prophecies on September 22nd, 3796 AD (JD. 3,107812). A total of 3 periods of ca. 2190 years each. I wrote a book on Nostradamus titled Onbekende Aspecten van Nostradamus [‘Unknown Aspects of Nostradamus’], which was published in 2002. In 1986 I dove further into the peculiarities of the Egyptian calendar (see also at 11). I put the results I arrived at in one of the drawers of my desk. In 1993, I met my current partner Hendrine, the woman I have been with ever since. She is a ‘resting point’ in my life that allows me to devote myself to my research full time four days a week. I collected some 250 chronological calendar dates that yielded a significant astronomical result. The Ancient Egyptians had a passion for Astronomy. Indeed, my conclusion was that their entire philosophy of life was grounded in it. It confirmed a kind of conviction I had had since the nineteen-eighties. At the beginning of 1994, I expanded my research to include the infrastructure of the pyramid field, the locations of the pyramids and their connection to the night sky, the stars in the heavens. This was stimulated by the publication of Robert Bauval’s groundbreaking The Orion Mystery. Much the same way as a friend of Bauval’s alerting him to the constellation of Orion in the night sky had triggered his discovery of the similarity of Orion’s belt to the layout of the Gizah pyramid field, so Bauval’s discovery in turn for me made things fall into place on a much wider scale. When I had read the book, I contacted him because I disagreed with him on a number of points. Assuming that correspondence to stars in the heavens is limited to just the three pyramids of Giza correlating with three stars in Orion’s belt is far too restricted. It is my firm conviction that many stars were projected on earth in the form of pyramids and temples, as I believe I have shown in Sterrenbeeld van Horus, which was published in 2000, and in its English translation Egypt: Image of Heaven, which came out in 2006. I am convinced that Egypt was once a world power whose influence derived from their knowledge of the universe. They translated their knowledge of this power into grand buildings, such as pyramids and temples. The earliest pyramids mirror part of the constellation of Orion together with a heavenly gate, the Perihelion (intersection of the Galactic equator of the Milky Way and the Ecliptic). At a later phase of their civilization they began to depict (iconographically) the God Orion in their pharaohs assuming the martial position known as the ‘strong arm’ on temple walls, pylons, and jewelry (the pectoral, for instance). This form of iconography established a connection between heaven and earth, which is what the Ancient Egyptians’ power derived from. (www.zitman.org Site Map, Egypt Image of Heaven, Chapters 5,6 and 8a-8y). In part II of these books, I describe the plan discovered on a mysterious clay tablet from the library of King Assurbanipal. It shows a ‘straight-lines’ representation of the ancient world. This journey of discovery led me to a place called Agadez in the Sahara desert in present-day Niger. The (second) cradle of a people that later was forced to move east, to the rivers Nile, Euphrates and Tigris due to a sudden catastrophic climate change resulting in drought. In 1998, my wife and I went to Paris to the FNAC media shop, where I found proof of my claim that the cradle of (Western) civilization was to be found in the western part of Northern Africa, more particularly in the Central Mountain Range, north-east of the Aïr Massif. The book I found, and which I had never even heard of, stood out among the books on the table in front of me. All I had to do was pick it up. 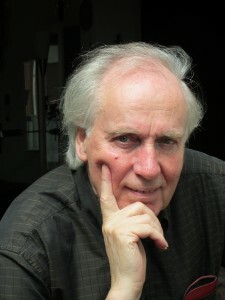 In the book, Archéologie Africaine, its author Marianne Cornevin discusses the work of French ethnologist Jean-Paul Roset. In Bagzane, Roset had found pottery dating back some 10,000 years. He describes it, illustrated with photographs, in the article: Tagalagal: un site à céramiques au Xe millénaire avant nos jours dans l’Aïr (Niger), 1982 and in Neolithic development in the Early Holocene of Northern Niger, 1987. And it did not end there, there were even prehistoric rock paintings discovered there. These findings completely overturn our current knowledge of early North African and pre-dynastic Egyptian history. Ancient Egypt had a wisdom that science does not wish to accept yet. Because after a number of years I was not entirely happy with part II of Kosmische Slinger der Tijden, in which I tried to reconstruct Dynastic Egypt on the basis of Egyptian high priest Manetho’s work, I decided to write Het Horus Enigma [‘The Horus Enigma’] (2009). The Egyptians discovered the calendar, the most fundamental and practical application of astronomy, through observation and subsequent determination of the length of the solar year. They were engaged in this science as early as the fifth millennium BC. However, in the past few centuries, egyptologists and astronomers have rigorously swept this off the table. Why should the Egyptians want to record the law-governed phenomena observable in the sky, such as the cycles of stars, of the sun, the moon, and the planets? And how would they have done that? What obstacles would they have had to surmount to achieve that? Present-day scholars even hold there was no knowledge of astronomy worth mentioning in Ancient Egypt. This is a blatant failure to recognize the obvious. For what would our civilization have looked like without those Ancient Egyptians? As it turns out, Astronomy was the central theme of Ancient Egyptian culture. The Egyptians, who saw themselves as sons of Horus, developed an all-encompassing system: the cosmic order, the coherence between Heaven and Earth. As above, so below. Egypt as the mirror of heaven. They even expressed this physically in the design of the pyramid field. But it also found expression in their calendar-based religious festivals and festivities, and their notion of time. They were the first people on earth to use hours, days, and months, and the fist people that knew seasons and years. The origin of Egyptian civilization is still shrouded in mystery. Some pyramid texts are extremely succinct. The Egyptians spoke of an island emerging from the primeval waters as the original center of the world. It looks like the Egyptians were alluding to an island in the ocean that could be seen as the center of the world around it, a center with an enormous mountain (the throne of Osiris), with the extensive radius of its circle of influence reaching over a vast distance, connecting it to other ancient centers, like Giza in Egypt, Stonehenge in England, Teotihuacan in Mexico, and Tiahuanaco in Bolivia. My search for this cradle of civilization started with the development described in 13 (the diagram with inter-cardinal axes, shaped like the symbol for infinity). I projected this figure onto the curved surface of the earth, and using a piece of string literally stuck it onto a globe that I have. By and by, its empty central crossing point got me thinking it might mark the original location of Atlantis. Plato explicitly stated that Atlantis was located in the Atlantic Ocean, past Gibraltar, known in antiquity as the Pillars of Hercules. From 1985 onwards, I collected geographical material, part of which I included – still incomplete then – in the books I had published. In 2005, after years of searching, I found the remnants of the island realm in the Atlantic in a NASA photograph titled Night falls over Europe. Raking light strikes the surface of the Atlantic Ocean, rendering submerged mountains or islands visible. I looked and discovered the geomorphological similarity between the three seamounts, Great Meteor and the two Cruiser Seamounts, and the three pyramids of Giza. In Van Egypte naar Atlantis, de Boven- en Onderwereld van Osiris [‘From Egypt to Atlantis’], I published Ancient Egyptian sources on the original cradle of their civilization. The existence of these texts is quite exceptional considering the fact that information like that is supposed to be completely lacking, at least according to traditional Egyptologists. Exceptional also because the origin of the Osiris myth was intertwined with the physical shape of the island group. Does that mean that geomorphology lies at the basis of their unfathomable religion? In my opinion, this is indeed the case, and furthermore I believe that the shape of the three islands taken together was copied in three artificial mountains in Giza, located on the same meridian as the cradle of their civilization, at 30º North. The distance between them in terms of longitude is precisely 60°. Now that the remains of Atlantis, the first cradle, have finally been found, we can focus our attention on a new view of the world. The ancestors of the Egyptians without a doubt came from the west (origin.zitman.org). In 1980 I had bought a house on the Holbeinstraat in Amsterdam. In 1981, Inez, the woman I was in a relationship with at the time, walked into the living room triumphantly, and gave me a book on Hans Holbein. Nothing strange about that, you will probably think, just a nice gesture on her part, but that was not the end of it. Many years go by. I am living in Belgium now. In October of 1998 I buy a copy of the Saturday issue of daily quality newspaper NRC Handelsblad, and in it there is an extraordinary article on – you guessed it – the artist Hans Holbein, more particularly on his fascinating painting The Ambassadors, currently on display at the National Gallery in London. The article discusses in detail all kinds of objects that are displayed on a table in the painting, with two men standing next to it, one on either side of the table. In the top left-hand corner of the painting there is a crucifix. On the floor we see an elongated skull (the skull of Jesus?) painted at an acute angle. According to Professor John D. North, an expert in the philosophy and astrology of the Renaissance, this painting depicts an astrological birth chart for April 11th, 1533, at 2:08 p.m. local mean time. That day in 1533 was Good Friday. This aroused my curiosity, and I decided to write to Mr. North and tell him about my insights on this. His response was an exceptionally kind one, and he sent me his book Hidden Meanings in Geoffrey Chaucer’s Poetry (KNAW vol. 54, No. 5) Round the middle of November, NRC Handelsblad ran a commentary titled Heibel om Holbein [‘Fuss over Holbein’] by Jeroen Stumpel, professor of iconology and art theory at Utrecht University. He swept North’s idea off the table, terming it ‘Nonsense for the main part’ (’grotendeels quatch’). North responded to this, saying that no matter what present-day scholars might think of Astrology “All those who were involved in this painting believed in astrology”, and he also added that he shuddered at Stumpel’s disquieting lack of understanding regarding the mental and intellectual world of the 16th century, and concluded his response by saying he kind of shivered at the idea of scholars like Stumpel censuring the press. In 2002 or 2003, my wife and I were vacationing in France and Spain. One day we were staying in St. Jean de Luz on the border between the two countries. On entering this village, we drove by an antique shop that had a sale on. We went in, and at the back of the store in the antiquarian books section I found a copy of Mary F.S. Hervey’s Holbein’s “Ambassadors”, published in 1900, which I bought straight away. The past year I did research on the Eye of Horus, and discovered what I believe to be its true meaning. My search for the ultimate beginning of the calculations made by Michel de Nostradame, revealed that he based them on the Venus and Mars-cycles. Venus is at 27° Pisces, where, astrologically, it is in exaltated position (exaltation)! This result without question pointed at the 27-degree angle with the horizon found everywhere in Holbein’s painting, and at the crucifix in particular. It refers to the start of the fourth wave of creation, and to the Crucifixion of Jesus. The words in St. John’s Book of Revelation, verse 22:16 are: “I am the Morning Star”, and the morning star is planet Venus, and I believe this is the Hidden meaning of the painting The Ambassadors. I kept an interest in North, and followed his work in other areas. I recently bought his book The Ambassadors’ Secret at the De Slegte bookstore in Leiden. In his preface, on page xviii, North takes the elevation of the Sun as his point of departure. In my opinion this is incorrect. Unfortunately, John North passed away on October 31st, 2008, so I can no longer tell him how I see things. So far, we have no real concept that covers the religion of Egypt. This seriously hampers research on the structure of religion. While there are many words that refer to religion, there is no word in Ancient Egypt for ‘religion’ as such. The existence of a God in the Egyptian religion is apparent everywhere. In this, it is very much like Christianity. There has been authoritative research in Egyptology on the Ancient Egyptian religion, but they never managed to find and describe the core and source of this religion. This was impossible, because they lacked the necessary knowledge of Astronomy, or rather, of Astrology. Hermeticism, which in the opinion of present-day Egyptologists belongs to the Greco-Roman tradition, needs to be incorporated within Egyptology. The need for rituals in Ancient Egypt was virtually endless, and there is clear evidence that their great festivals were based on cosmic phenomena. This required observations and calculations to plot the course and movements of planets and stars in the heavens. These calculations supplied the basic data for the development of their calendar, which in turn yielded prolongations that made it possible to construct a chronological ‘framework.’ The Egyptians thus had a methodology and the relevant mathematics that constituted the core of their religion, founded on a repeating cosmic rhythm. These cycles yielded the prolongations for the famous festivals of Life and Death that were celebrated through the ages and of which there are many examples. The synthesis is that the Egyptians were familiar with the cosmic clockwork of the universe. They recorded cosmic events and lived by the repeating rhythm that characterizes these. Their stelas with descriptions testify to their focus on these cosmic events. Their festivals and feasts ran synchronous to this rhythm. Their calendar reminds one of interlocking gears with cogwheels fitting seamlessly. The various cogs are responsible for diverse periods of evolution. Isaac Newton and Michel Nostradamus knew the laws of this Machina Mundi, the clockwork of the universe. They got this knowledge, or implicitly understood it, from Ancient Egypt. If people have an understanding reaching to the core of this knowledge, as Newton and Nostradamus did, Religion or the existence of God is no longer a question. I already mentioned The Eye of Horus. In the past year (2016), I did research on this hitherto unsolved riddle of Ancient Egypt. The Eye of Horus is mentioned, for instance, in the Horus Myth at the Temple of Edfu. After searching long and hard I believe I may have discovered its true meaning. If I am correct, it is the transit of the planet Venus across the Sun, the same way it happened in 2004 and 2012. No more, no less. It does present us with another riddle, which is how they were able to observe a transit like that without a telescope. Nevertheless, I believe they were! The solution will have to wait till a book or web-article is published in which this phenomenon will be described. Ancient Egypt is ancient indeed; their extensive wisdom shows this time and again. The period we believe we know something about starts at around 3000 BC. In my opinion, and according to my research, this beginning is too recent and should be placed further back in time, to a start of the First dynasty at around 3520 BC. The period prior to that started 1790 years before that at around 5300 BC, which marks the time when they moved as a people from the Central Mountain Range of North Africa to the river Nile due to a climatological catastrophe. They settled in the Delta, the Fayum, at Abydos and at Hieraconpolis, and probably also further up the river, at points connecting to the old caravan routes from the Sahara desert. The horoscope of Good Friday on April 11th, 1533 (Julian Calendar) at 02:08 p.m. LMT, at Jerusalem (31º47´ North, and 35°10´ East) has the moon on cusp 4, the Sun on cusp 9, Mars on the descendant (cusp 7), and Venus conjunct Neptune on cusp 8, precisely at 1° Aries and 29° Pisces. Planet Venus is at 27° above the descendant (the horizon).